Blimey, I wish I could navigate all this social media crap. And when I say “all this”, I’m only talking about the notifications on my Facebook profile and my Facebook page. I don’t use my Facebook profile any more but have to keep it open to operate my Facebook Page – Julia Farino – Actress/Singer – which I find impossible to use so I continuously miss things! And it’s happened again. 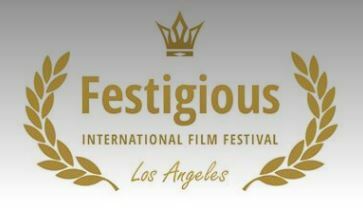 I’ve just found a notifcation from January saying that the film, Lip Lock Romance, which I shot last year, has made it onto the Best Picture finalists’ list at the Festigious International Film Festival. Hurrah! Sadly, I’m finding out 4 months later! Anyway, April was busy as I played a recurring, guest star role in a new web series and have been working on a promo for a feature film. The director will use the film to raise the funds to make the full feature – whether the current cast remain for the full length version, we will have to wait and see. I also saw the film, The Rider, at the beginning of April which is a beautiful film. Chloe Zhoa has created a work of fiction conceived from a real life situation. She patiently lets the story playout in front of the audience and, in working with mainly non-actors who are portraying characters very similar to themselves, allows the story to evolve so naturally that it’s like watching in real-time. If you love the great outdoors, gritty realism, horses, people pulling through in the face of adversity – any or all of these – you should see this film.